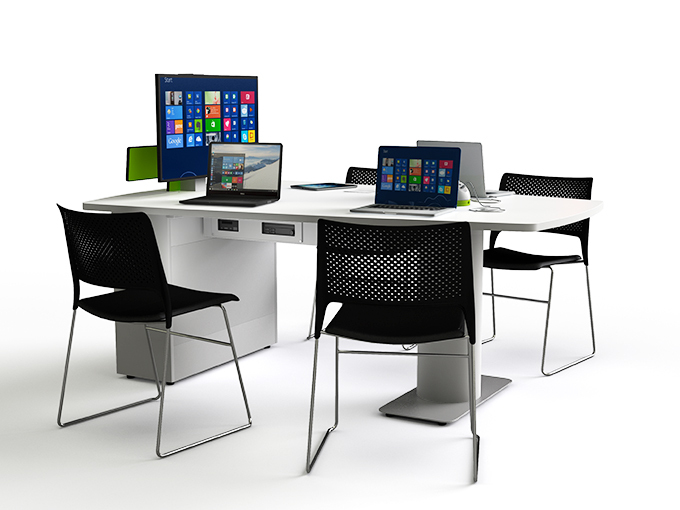 Open-plan learning zones, ICT suites, libraries, meeting rooms and conference facilities. 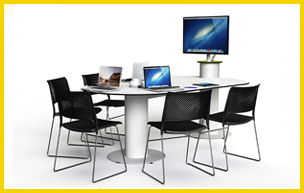 Please download the Specifications to view our range of standard collaborative tables. 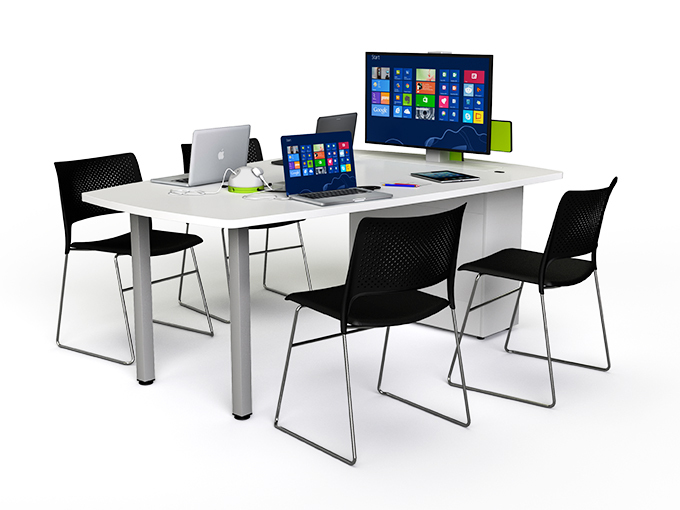 The zioxi range of powerUp collaborative media tables enable team working around a shared display screen which can be hidden away or raised at the touch of a button. 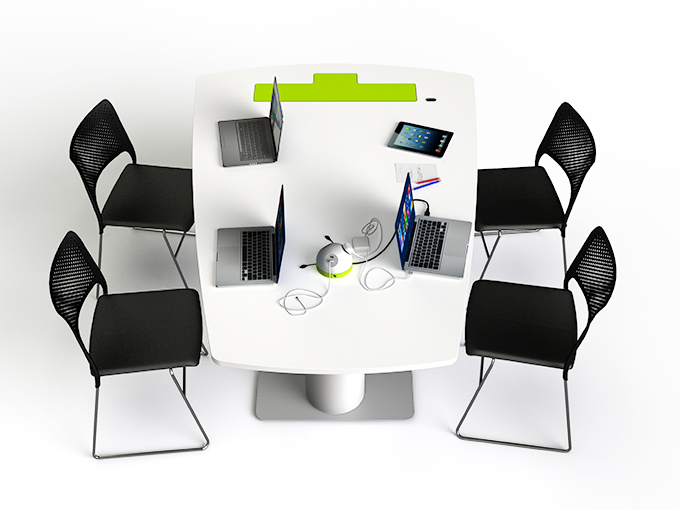 Great for room layouts where not all tables can be located against a wall. Participants BYOD laptops and tablets can be connected to the screen using just a video cable, an integrated AV switch or wireless connectivity – the choice is yours. 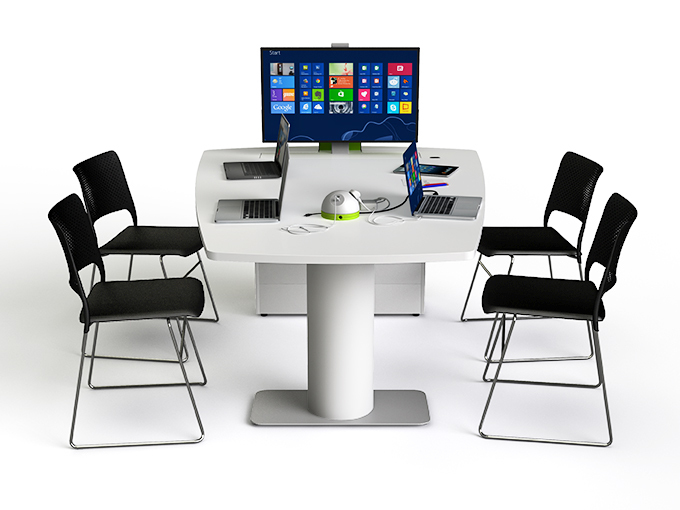 The options of the zioxi powerDome and cableRing provide a selection of mains & usb power sockets and the ability to present & retract any cable including HDMI, VGA, Ethernet, USB Lightening, Type C and micro USB. There are a large range of shapes, sizes, finishes and colours with collaborative table designs to support from 5 students and team members upwards. Display screen sizes of 32″ & above are supported subject to table width. Storage options for AV & PC equipment.